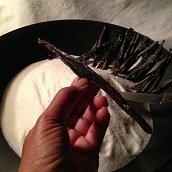 What Are Cloves - Madagascar - Ceylon? Cloves are the unopened buds of an evergreen tree. Their Latin name, clavus, means "nail." 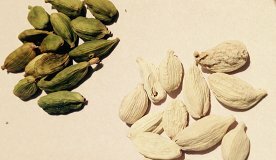 The buds from Madagascar are stronger in flavor, but smaller than those from Ceylon which have a milder flavor and a bigger head. What is the Origin of Cloves? 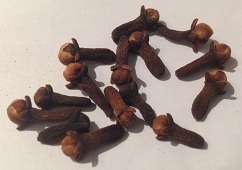 Indigenous to the Spice Islands of southeast Asia, today Cloves are cultivated in tropical climates including Madagascar, Indonesia, Sri Lanka, Malaysia, Grenada, Tanzania, and Zanzibar. 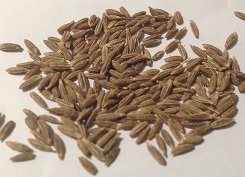 They are often used as an ingredient in pickling spice blends; and, are added to syrups for poaching fruits, and to spice blends for making mulled cider or wine. Cloves are good for foods like: apples, beans, beets, breads, carrots, chocolate, fruits, onions, pumpkin, sweet potatoes, and squash. 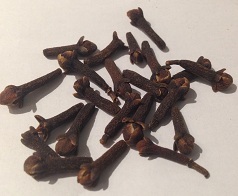 The cloves from Ceylon have a milder flavor and a bigger head than ones from Madagascar and Zanzibar. The big heads are great for studding fruits (for potpourri) and vegetables like onions for chicken soup stock. 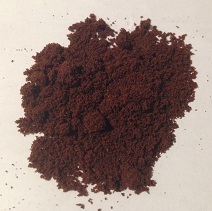 Clove oil is well known as a treatment for toothache, and its antiseptic properties make it an excellent mouthwash. The main ingredient in the oil is eugenol which is anti-inflammatory and can help ease the stiffness and pain associated with arthritis. Cloves can help reduce congestion, and can stimulate digestion.